Approx. 0.75km walk down the Confederation trail then farm head land to get where we will be working. We are unable to get a permit to run our machines and equipment down due to ground conditions. 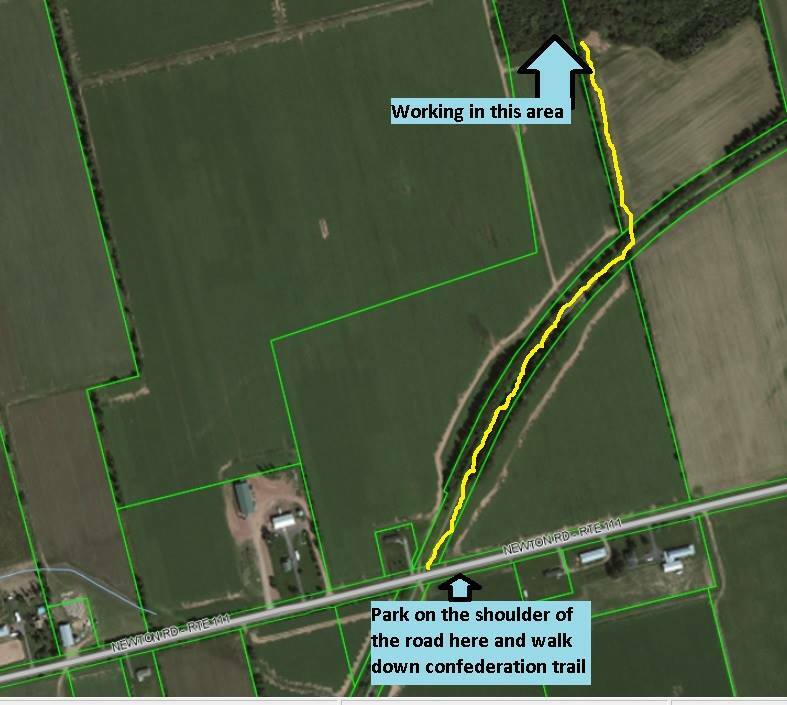 Approx 1.5kms of trail needs to be cut in this section. Please let us know if you be able to attend so we can better plan our work.